No, this is not a manual on how to rebuild your Cushman, that you managed to find in your garage. That manual is here. 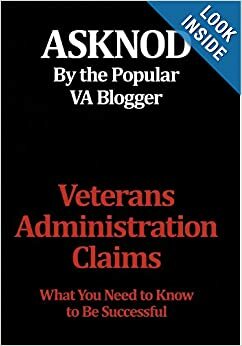 This Cushman manual is for Veteran’s who have had evidence shredded and been denied, where the VA continues unabated it is quest to delay and deny until you die. Nooooo….Santa wont be coming until NEXT year. You have to look for those subtle hints that the VARO shredded your evidence, because they will deny that until THEY die. 1. Why did they deny my claim citing a “lack of evidence” when I have it right here? 2. Why isn’t my C file complete? Why is it somehow missing that “Veteran friendly” doc’s report that said my malady was “at least as likely as not due to military service”? 3. Why is my copy of my C file 1400 pages long, but the copy I requested from the VARO only 300 pages? 4. Why did my copy of my C file have Bob Smith’s medical records in it when my name is JAV? First, try a little “honey”. 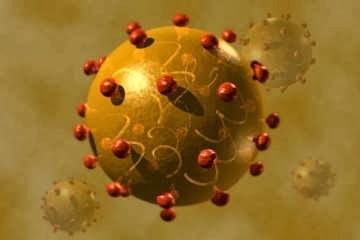 Send an IRIS email, innocently asking, “Gee, how come you denied Service connection, when my Doc Friendly Vet, stated it was ” likely due to military service” on an exam dated 11-21-04? Next, pull out the 38 …. CFR 3.156 weapon, especially if you have already been awarded benefits and are seeking an earlier effective date. 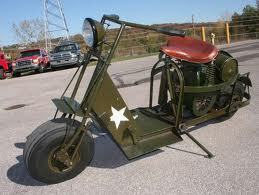 Lastly, after a BVA denial, get on your Cushman, and ride to the CAVC in Washington DC. Get your lawyer on board, and let HIM drive the Cushman. This entry was posted in Guest authors, SHREDDERGATE, VAOIG Watchdogs and tagged ASKNOD BOOK, asknod.org, asknod@wordpress.com, Disabled Veteran, DIY vA Claims, Gulf War Vets Help, Help with vA Claims, Helping Veterans, Korean War Vets Help, Service Connection, VA claims, VARO Information, Veterans claims help, Vietnam Veterans Claims Help.. Bookmark the permalink. The VA has conveniently “forgotten” about shreddergate, and has taken down from its website any references to it, sorry. There used to be a fast letter, and a blurb about what Veterans should do if they had shredded evidence, etc. The VA allowed Veterans “special handling due to mishandled evidence” for ONLY a limited period of time, about an 18 month period in 2008-2009. If your evidence was shredded at other times, then you are out of luck Charlie. That is when you get on the Cushman vs Shinseki, and ride it to DC. Naturally, the VA denies it happened, and then when they did get caught, they said it only affected a “few” of the 57 RO’s, and for a limited period of time. In a nutshell they did nothing wrong, but promised not to do it anymore. Since they are worried the VAOIG may be watching the shredder bin, the “new” shredder bin is to put one Vet’s evidence in another Vets file. At what point in the claims process should one to request/view the C-file? You are right about things disappearing from the web. Sometimes I archive important pdfs in various manners although its more work. Merely, linking to them guarantees that I’ll never to be see some again. . I like to see some VA organizational charts posted or linked to.